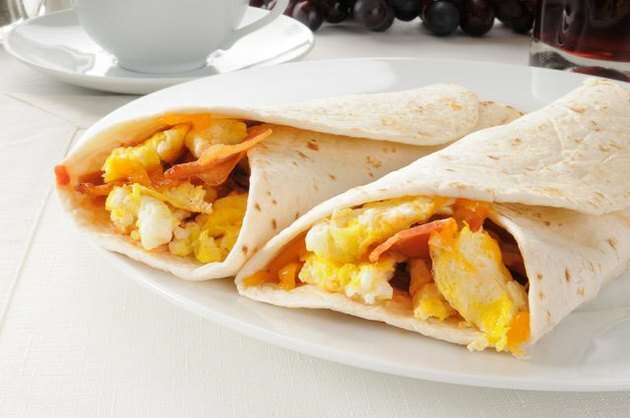 According to a 2011 NPD food market research study, 31 million Americans (one in 10) skip breakfast. One of the top reasons people gave for skipping breakfast was, "they didn't have time and were too busy." I understand what they're saying about being busy: As GM and VP for LIVESTRONG.COM, the largest healthy living website, every morning I'm rushing to fit in a workout or a run and then get ready for work (all the while reading the news on my phone, checking my email and my Twitter feed), I don't have a ton of time to eat. Still, I never leave my house without eating breakfast and putting it in my calorie tracker. Quick breakfasts are important to me. I grew up eating cold cereal with milk for breakfast. 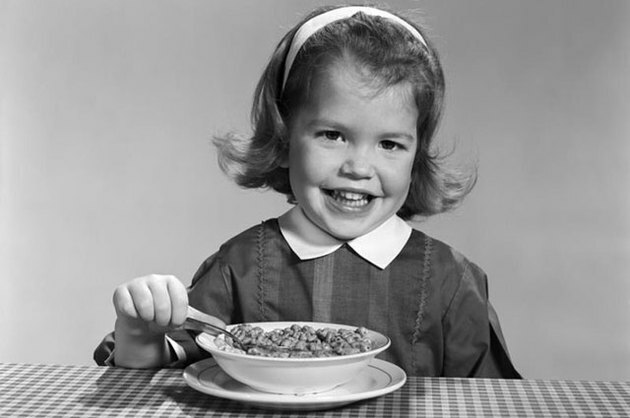 Raised by a single working mother, cold cereal was the easiest breakfast for us kids to grab quickly (and safely - i.e. no stove or oven required) when we were little and woke up early in the morning in a rush to get ready for school. In my 20s and 30s, my cereal tastes had "matured" somewhat. I almost always ate a rather large (two serving size) bowl of Kellogg's Special K, Kellogg's Product 19, Kashi GOLEAN Crunch, or General Mills Total cereal, and I was convinced that breakfast was my healthiest meal of the day. How could it not be when those cereal boxes bragged of being fortified with so many added vitamins?! It never occurred to me that my breakfast of cold cereal might be the reason why I was always starving again several hours before lunchtime. When I worked at Beachbody and participated in the fitness test groups for RevAbs and LES MILLS COMBAT I was put on a high protein, low carb meal plan, and cereal was never a breakfast option on this meal plan! 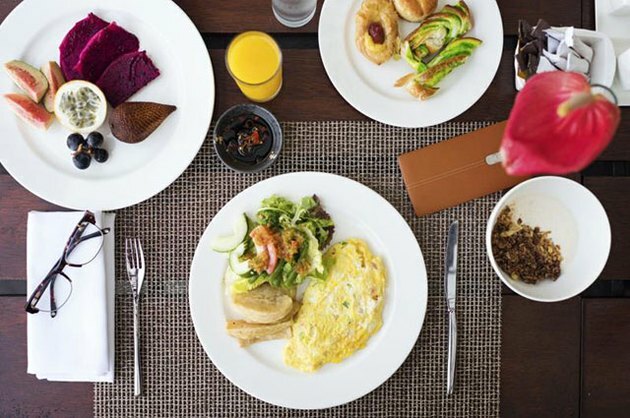 On the fitness program meal plans, breakfasts were always an egg dish of some sort. I thought it would get boring, but I found out that there were a ton of ways to eat eggs that I had never even tried. I lost several pounds in just a few weeks and eating eggs for breakfast was a big part of this. The best part: I was less hungry and more full than when I had been eating cereal for breakfast. No sugar crash to make me cranky. Why Are Eggs a Better Breakfast Choice Than Cereal? From this personal weight-loss experience, it seemed to me that eggs were a superior breakfast choice than cereal to achieve fullness throughout the morning and weight maintenance or weight loss, but I wanted to understand the science better of why. By reading labels on cereal boxes and looking online (and tracking a few of my favorite breakfast cereals in LIVESTRONG.COM's MyPlate Calorie Tracker), I found out that boxed cereal contains a high amount of sugars. A breakfast of one cup of Kashi GOLEAN cereal and one cup of milk contains 26 grams of sugar (13 grams in the cereal and 13 grams in the milk). That's about six teaspoons of sugar! No wonder I was experiencing a sugar crash and hunger spike halfway through my morning. For optimal health and weight maintenance, the American Heart Association recommends 20 grams of sugar per day for women and 36 grams daily for men. My morning breakfast cereal was pushing me over the daily limit. A breakfast of two scrambled eggs, in comparison, contains only two grams of sugar. Then I read about a 2013 study from the University of Missouri that studied 20 overweight or obese adolescent females who either skipped breakfast, ate a breakfast of eggs and lean beef, or ate a cold ready-to-eat breakfast cereal. The breakfasts were all approximately 350 calories. The study found that those who ate the high-protein egg-based breakfast led to increased feelings of fullness along with reductions in the type of brain activity that is responsible for controlling food cravings. Wow. 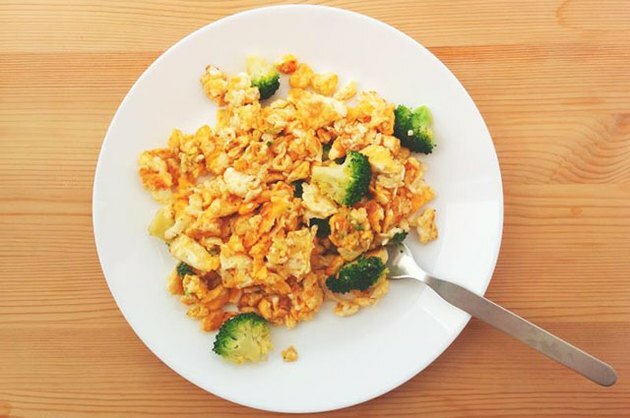 I consulted with LIVESTRONG.COM's nutritionist Kelly Plowe to see what she thought about eggs vs. cereal as a healthy breakfast option. "A breakfast of eggs is a great way to start your day," she says. "The protein in eggs will help steady your blood sugar for the rest of the morning and keep you satiated until lunch or your mid-morning snack which is an excellent strategy for weight loss." It all began to make a lot of sense about why eggs kept me feeling fuller than a breakfast of cereal and helped me to lose a few pounds at the same time. Like everyone else out there who is so rushed for time in the morning, I had been concerned that cooking eggs for breakfast would take too long (and also require me to wash dishes and pans - something that I despise). Then I discovered two ways I could enjoy a tasty, filling egg breakfast in less than three minutes without even dirtying a pan. 1. Coat a 12-ounce microwave-safe coffee mug with dab of coconut oil. 2. Add eggs and milk; beat until blended. 3. Microwave on HIGH for 45 seconds; stir. 4. Microwave until eggs are almost set, 30 to 45 seconds longer. 5. Top with salsa and cheese. Pro Tip: If you're like me and you don't like having any dishes to wash (not even one coffee cup! ), you can hollow out a red or green bell pepper and cook your eggs inside the pepper and eat it! 1. Coat a 12-ounce microwave-safe coffee mug with cooking spray. 3. Microwave on HIGH 45 seconds; stir. 4. Add in black beans and stir again. 5. Microwave until eggs and beans are almost set, 30 to 45 seconds longer. 6. When the eggs and bean mixture is hot, spoon it out onto the tortilla, and top with shredded cheese, chopped avocado and salsa. 7. Wrap it up and enjoy. Pro Tip: If you're one of those people who says even this quick two-minute burrito recipe takes too much time (or that it costs too much to make breakfast at home), check out this guy Trent Hamm's plan where he made himself 32 breakfast burritos on the weekend (at a cost of 72 cents per burrito!) and wrapped them each in plastic and put them into the freezer. Then, he re-heats them each morning by removing the plastic wrap and putting them into a microwave with a paper towel. Readers — What's your favorite quick breakfast? Do you prefer eggs or cereal? Which is better for keeping you full, losing weight, and health? Leave a comment below and let us know. Jess Barron is GM and VP of LIVESTRONG.COM. A longtime foodie and fan of Farmer's Market food, Jess can't get enough heirloom tomatoes, fresh figs with burrata cheese, and anything with pumpkin or peanut butter in it! Her love for food fuels her desire to exercise daily. Some of her favorite workout routines include running, yoga, P90X, INSANITY, and mixed martial arts.She has appeared on MSNBC's "The Most," ABC News Now, and XM satellite radio and her writing has appeared on Wired.com and Yahoo! Follow Jess on Twitter and connect with her on Google+ and Pinterest.